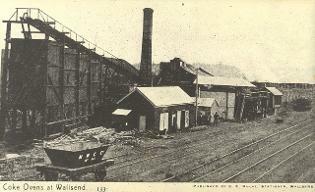 Wallsend was a private coal mining town. It was established when the Newcastle and Wallsend Mining Company opened coal mines nearby in 1860. The land was originally owned by Alexander Brown who helped found the company. In 1882 this company employed more people than the Australian Agricultural Company, and by the turn of the century it was the second major colliery employer in the district. Most of the founding members in the company were investors from outside the region. 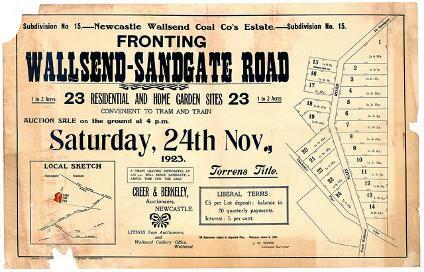 Wallsend was proclaimed a town in 1874, and its first Lord Mayor was James Fletcher. Wallsend now includes Plattsburg, which was proclaimed a municipality in 1876, and was incorporated back in to Wallsend in 1915. Plattsburg was situated closer to the co-operative mine. In contrast to the Newcastle and Wallsend Mining Company, the co-operative mine was started by the miners themselves. Coke ovens at Wallsend [1870s]. Published by C.E. Hulse, Stationer, Wallsend. From the Newcastle and Hunter District Historical Society Archives, University of Newcastle, Cultural Collections. 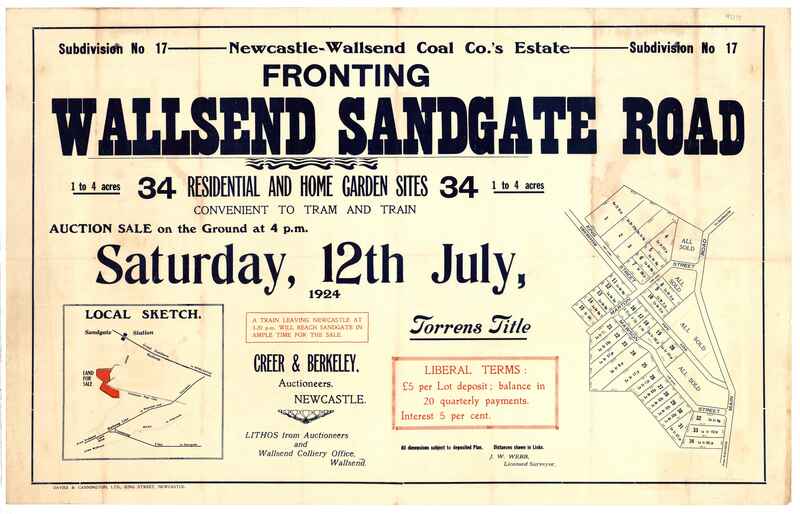 Wallsend, NEWCASTLE WALLSEND COAL CO’S ESTATE, 24th November 1923.From the Collection of the Northumberland Permanent Building Investment and Loan Society, University of Newcastle, Cultural Collections. Metcalfe Street, Wallsend, 9 April 1906. 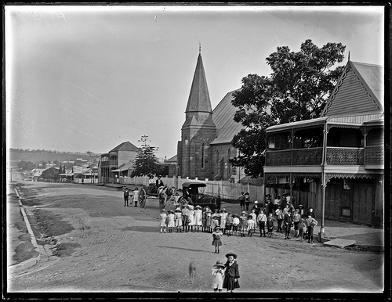 From the Ralph Snowball/Norm Barney Collection, University of Newcastle, Cultural Collections. Metcalfe Street is named after Michael Metcalfe (1813-1890) who was a major shareholder of the Newcastle Wallsend Coal Company.